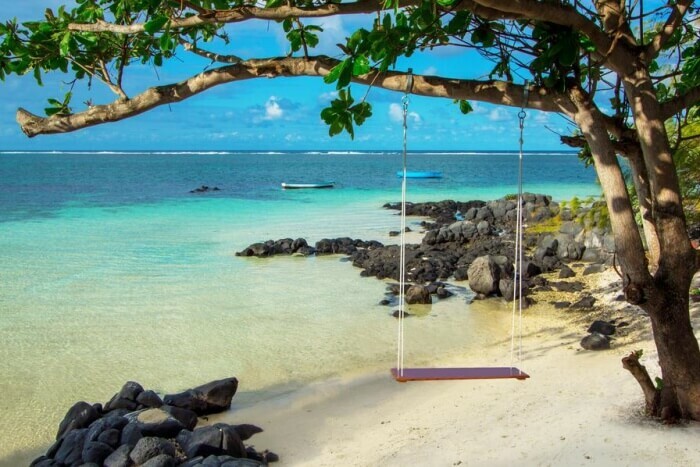 Grand Baie is a beautiful village in Mauritius which is known for its picturesque beauty and sandy beaches. Mauritius has no dearth of beaches or islands. In every direction, you will stumble upon a tiny islet that will offer you virgin views and isolated calm environment. These islands not only offer you the best of views but also offer unique experiences. Hopping these islands on your holiday in Mauritius is a great opportunity to experience the local culture and cuisine of this island. The breathtaking landscapes will leave you stunned while the adventurous activities will leave you thrilled. Enjoy water sports activities and sightseeing on this island during your visit. 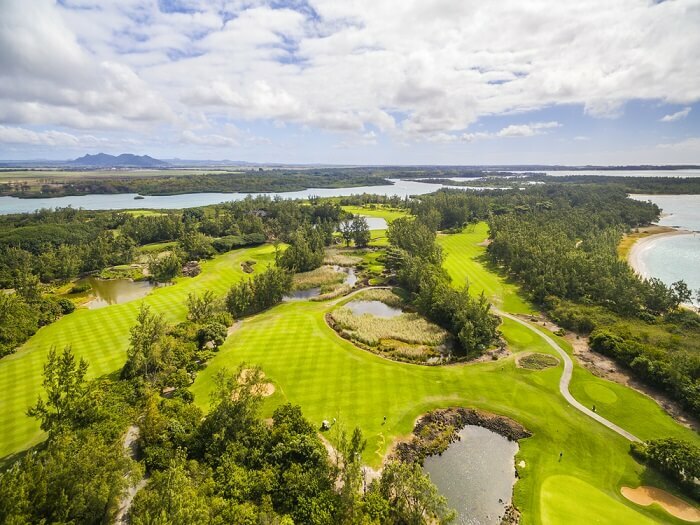 Once you are done exploring the charming village of Grand Baie, you can migrate to the tiny exotic islands of Mauritius to extend your tropical holiday and enjoy the island life. Also known as the Deer Island, Ile aux Cerfs is a privately owned island located on the north coast of Mauritius. You may not find any more deers on the island but the extraordinary beauty of its numerous beaches will surely captivate you. This island is one of the most popular attractions in Mauritius but it is not the only reason why you should take a speed boat to come to this island. The island offers you a huge bouquet of experiences and has multiple activities planned for you. The stay at the resort is amazing and you will even find Indian restaurants where you can enjoy a sumptuous meal. Chug one refreshing tropical cocktail after another. After all, you are on holiday. 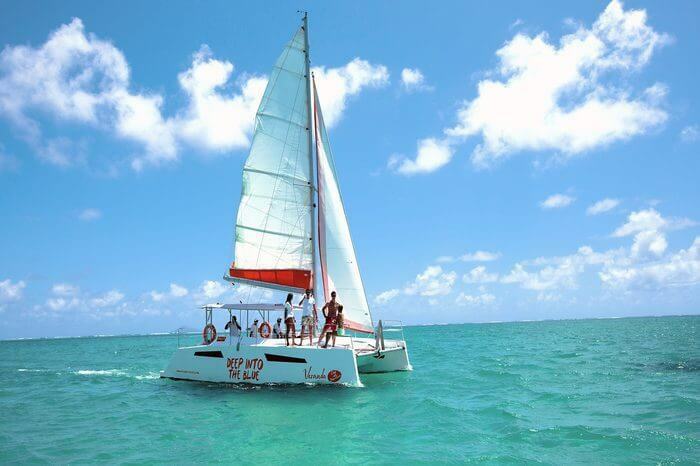 How to reach: You can take a catamaran cruise or speed boat tours to reach Ile aux Cerfs. The island is popularly famous as one of the best snorkeling points in Mauritius. Apart from experiencing the underwater sea life, you can also visit the shipwreck lying below the sea. The Shark Pit is where you can watch sharks swirling around for some oxygen. Don’t go swimming in that area. Indulge in water sports activities like water skiing, jet rides, and glass bottom boat ride. Flat Island is relatively unknown, which makes it a perfect hideaway for romantic couples. On your demand, the cruise staff can cook meals for you or arrange a romantic dinner or lunch date. 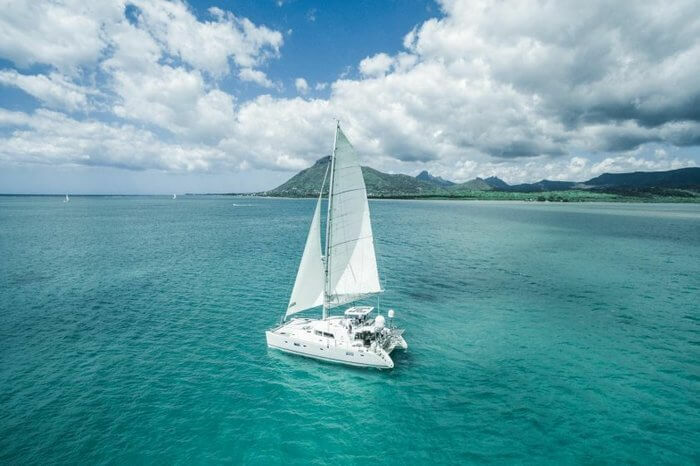 You can either get a Mauritius honeymoon package-with Catamaran cruise-for a better deal or can hire your own luxurious cruise when you get there. Couples who want to get away from the hustle-bustle can take a day-long catamaran cruise ride to Gabriel Island. The island is one of the best places to spend some quality time with your loved one and relax. You can also choose to take a short trip around the island without getting off your cruise, but you must not skip this wonderful island. Once you are done exploring the popular attractions in Mauritius, you can visit these islands near Grand Baie and forget about the existence of the world. The experience on these islands will make your holiday in Mauritius much more enthralling and lovely. You have got too many options to choose from. If you have only limited days on your vacation, then Ile aux Cerfs island is a must. If not, explore as many places as you can on your Mauritian vacation.